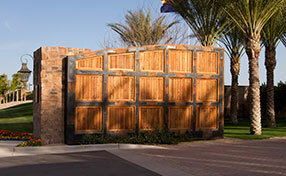 Gate Repair Calabasas is a company that provides integrated solutions to residences. 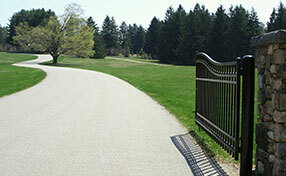 We repair, reinstall, and maintain all types of entranceways and their parts, including openers and intercom systems. An intercom system is an intrinsic part of a driveway. It is responsible for allowing people arriving at your premises to directly communicate with you before entering the house. 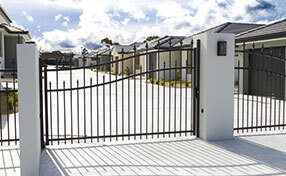 Functioning as a direct communication line between the house owner and visitors, it is one of the most essential components of an automatic residential gate. In addition, it also provides security to residents of the house from hawkers and salespeople. 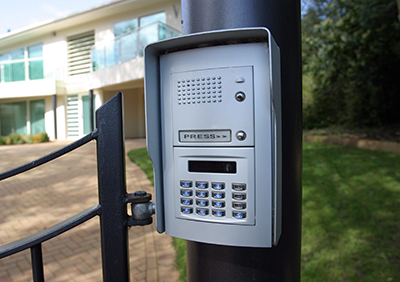 As a result, it is important that you maintain your gate intercom system and repair it immediately in case of any malfunction. Our technicians are highly skilled and trained in handling all types of talk-back systems. We install new ones, repair defective parts, panels, or circuit boards, and even program systems that need a reset. With years of experience in this field, we are one of the most sought-after companies in California. Our associations with popular brands such as Doorking, Nortek, Aiphone, and Linear aid us in our attempt to provide complete support to our customers. Our company has been in this business for many years, and thus, we consider intercom systems as an essential component in a residential place. Our professional repair services can take care of all your communication system problems such as an outdated software, an error in transmission or reception, faulty panels, and a worn-out speaker or microphone to name a few. Our technicians will arrive at your doorstep and provide expert solutions. Years and years of using the same system can be a bit boring. In this age of technological advancement, it can be refreshing to upgrade the objects in your house. One such thing can be your old-fashioned communication system of your entranceway, which was set up years ago when you bought your house. 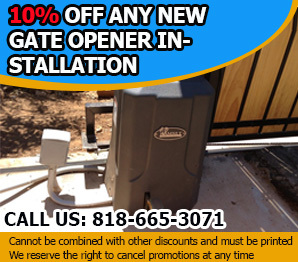 At Gate Repair Calabasas, we install (and reinstall) all parts of a doorphone. Our tie-ups with major brands further enable us to be adaptable with our services. For all reinstallation services, contact us – the best providers in the city.